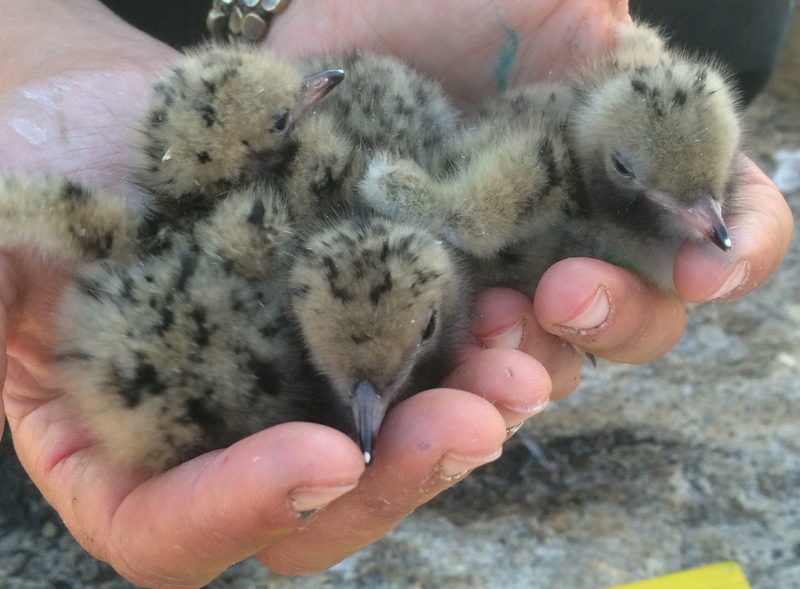 Supported by the New Hampshire Fish and Game Department, the SML Tern Conservation Program implements research, restoration, and management of threatened and endangered terns on White and Seavey Islands in the Isles of Shoals. These islands are New Hampshire’s only successful breeding colony for Common (Sterna hirundo), Roseate (S. dougallii) and Arctic (S. paradisaea) terns, and are therefore a key conservation focus for the state. Current and historic conservation efforts include predator control, habitat management, and the study of diet and foraging behavior to improve conservation outcomes for these seabird populations. In addition to innovation in research and conservation, this program offers SML students the opportunity to experience the world of seabird conservation firsthand through programming in many SML courses. UNH Today: "What Taking Care of Terns Tells Us"
PBS NewsHour: "A summer colony where seabirds and science nest"
NHPR's Something Wild: "Terns Thriving on Isles of Shoals"
WGBH News: "Angry Birds Are Impacting New England's Fishing Rules"
For more information, click here to visit the AIMS website. 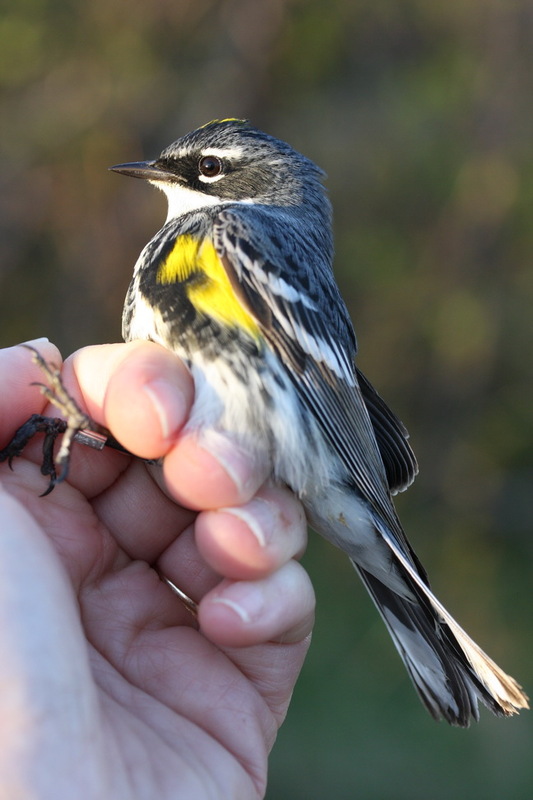 Based inside a specially-designed, insulated trailer, a team of undergraduates from Canisius College works each summer to examine songbird calling (vocalizations). 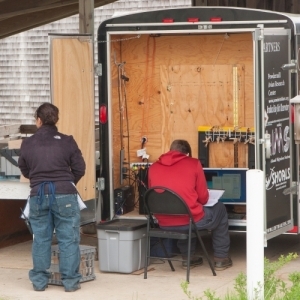 The MARS trailer acoustically isolates birds, allowing researchers to study a bird's response to sound cues as well as to see what factors may be affecting the likelihood and rate of calling by individual birds. In order to better study populations of Herring Gulls (Larus argentatus) and Great Black-backed Gulls (Larus marinus), researchers come to Appledore Island to band both adult and juvenile gulls. 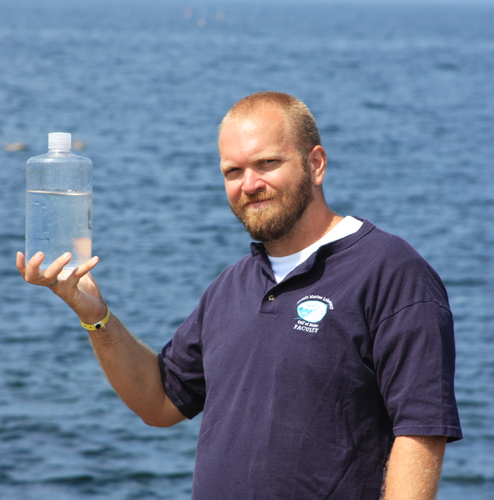 The overarching, long-term goals of this study are to understand the interactions between Herring and Great Black-backed Gulls, their population trends in the Gulf of Maine, and the effects that these two species have on coastal marine communities of New England. Since 2011, researchers have conducted boat-based surveys of Duck Island, Isles of Shoals and its surrounding ledges. Photographic data is used to doucment harbor seals (Phoca vitulina) and gray seals (Halichoerus grypus) present in the haul out. 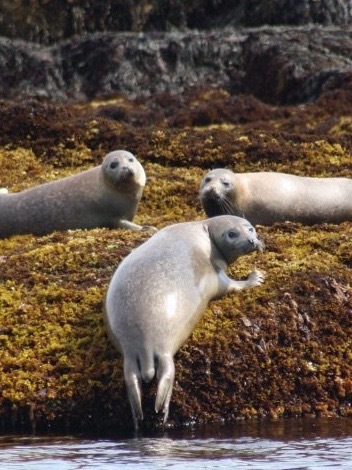 The surveys aim to provide an estimate of Isles of Shoals seal population numbers, health of the colony, and evidence of injury and entanglement. Parasites represent one of the most ubiquitous and abundant group of marine organisms worldwide. Parasites are an extremely important contributor to species interactions and can be a major driver of evolutionary change. This project studies parasites and pathogens at multiple levels, including their influences on individuals, populations, and communities. 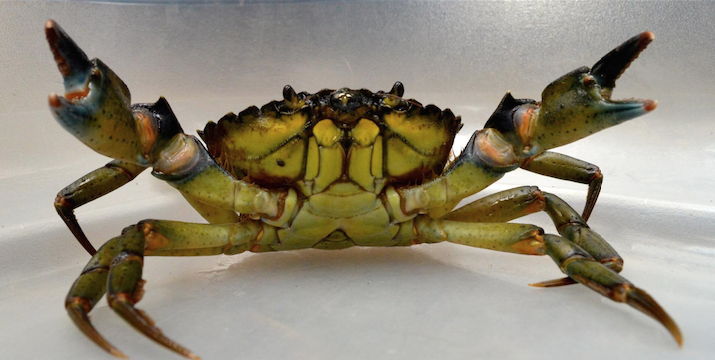 The Isles of Shoals represents a natural laboratory for studying the ecology and evolutionary biology of marine parasites, given the abundance of hosts (particularly shorebirds) on the islands that drive parasite prevalence in the region. 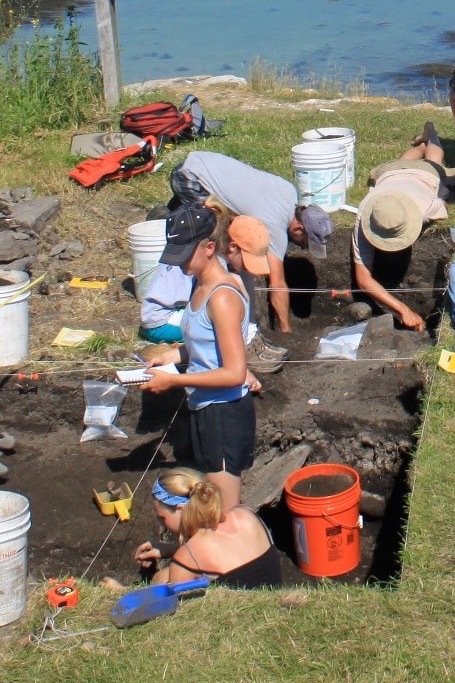 Research at SML has spanned almost two decades and has included many collaborators and multiple students at both the undergraduate and graduate levels. The Isles of Shoals are most famous for the colonial fishing station sited on Smuttynose Island that existed in the 17th-19th centuries and whose origin predated the arrival of Puritans to Massachusetts. Further artifacts represent a substantial activity area that appears to date to AD 800-1200 on the basis of artifact styles that include a Levanna point, a side-notched point and a Stemmed point. Excavations during 2009 produced evidence sufficient to designate a prehistoric site, known as the Hubbard-Oberlander Site. 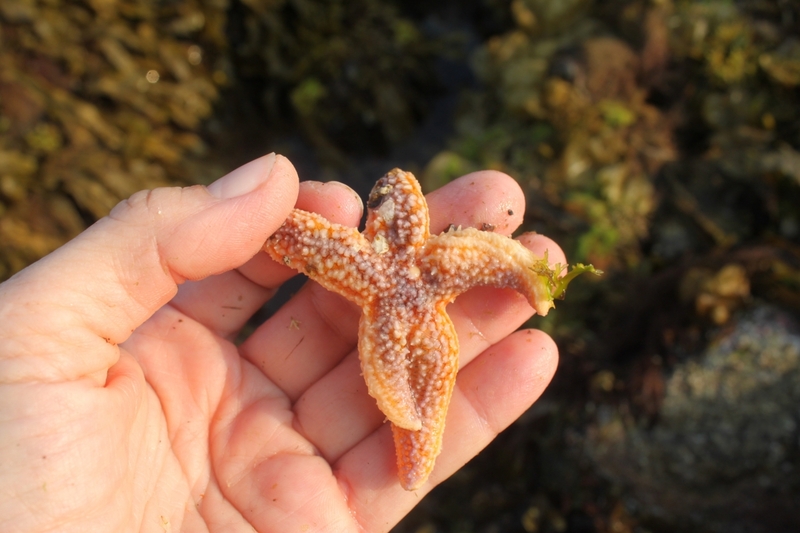 SML has accumulated over twenty-five years of data from student transect surveys that detail the distribution and abundance of organisms in both exposed and protected rocky intertidal habitats on Appledore Island in the Gulf of Maine. SML uses the transect studies to teach research methods and focus student observations in the field. Compiling the survey data will allow us to track and document changes around Appledore Island and provide a long-term dataset with baseline information to the broader scientific community. In the past, data was collected by students in Field Marine Science (I and II), and Field Marine Biology & Ecology courses. SML students and mentors now collect data as part of our Intertidal Ecology Internship. Subtidal monitoring of benthic communities off Appledore Island to gauge effects of global climate change. 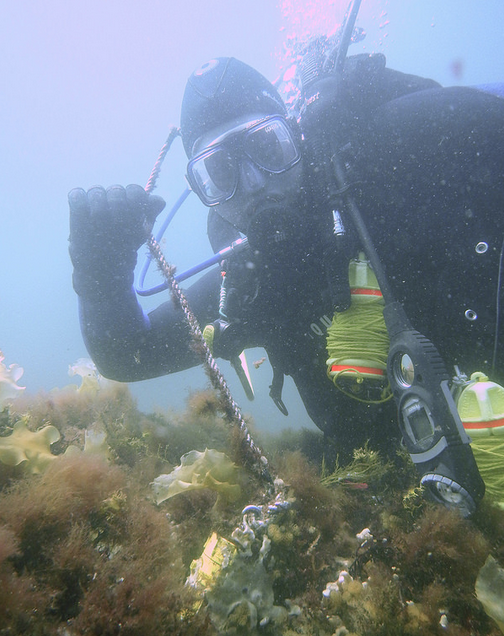 Research divers conduct surveys in the waters around Appledore for 1-week each summer as part of wider surveys conducted by the Byrnes Lab throughout the Gulf of Maine. 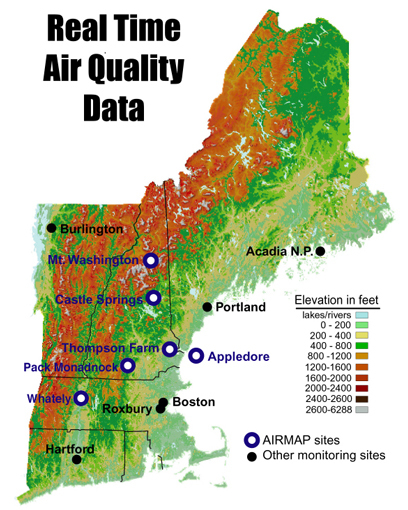 The Hewson Lab constructed two RNA virus metagenomic datasets, one from water collected in Babb’s Cove and the other from RNA viruses taken from the sediments of Babb’s Cove. 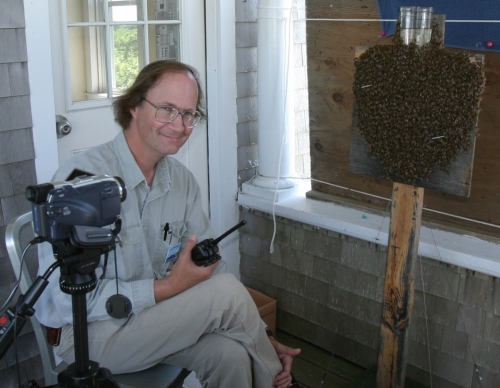 Seeley established honey bees’ criteria for a nesting site and the way in which the scouts explore potential spaces. Check out PBS's NOVA video about the waggle dance! 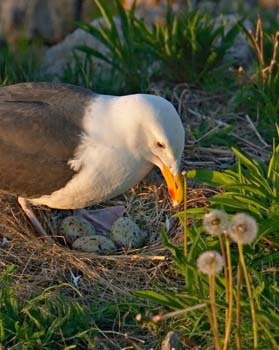 As part of an undergraduate internship program funded in part by the Cornell Lab of Ornithology, student researchers spent 10-weeks each summer monitoring the nests and chicks of Herring Gull pairs (Larus argentatus) and Great Black-backed Gull pairs (Larus marinus) on Appledore Island. Nests were monitored from egg lay to fledge. This work continues as the 'Gull Ecology Research and Gull Banding' project listed above, and as the Gull Population Biology Internship.